For many women, perfume is a part of life. However, with all the different things women must be cautious of during pregnancy, you may be wondering if perfume is acceptable. While there is believed to be no harm in wearing perfume during pregnancy, there are a few things you will want to keep in mind. One of the biggest symptoms of pregnancy is having a heightened sense of smell accompanied by a sensitivity to certain scents. Your skin can also be more sensitive during pregnancy causing your skin to react to certain types of perfume. This is why you will have to choose the scent you go with carefully. You do not want to wear something that will make you sick throughout the day. 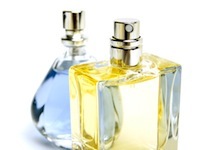 Try out your perfume on a day when you can stay home and take a shower if the scent bothers you. Body sprays and scented lotions are a great way to get the scent you want without having such an intense aroma. They also have lower alcohol levels. They may even be able to offer added benefits when they have certain scents in them. For instance, peppermint and cardamom have been known to help with nausea. Keep in mind though that essential oils used for aromatherapy have a more potent aroma and some women may have adverse reactions to certain oils, especially during pregnancy. Perfume is not recommended during breastfeeding. This is because babies prefer their mother's natural scent rather than perfume. On top of this, the scent may be irritating to the baby. Some women find it easier to adjust to life without perfume before their little bundle arrives rather than after. The chemicals in the perfume can change the hormones in the body, which can cause nausea and other undesirable side effects. With this, there have been studies on rats where the mother was wearing perfume and it found that the sons born had issues with their fertility. While this has not been backed by human studies due to the ethics surrounding this sort of study, it is still food for thought. The solution for this issue is to go with a perfume that is natural or chemical free. Whether you use a perfume, body spray or another scent during pregnancy is up to you. If you are concerned about any extenuating circumstances with this, then it is best to talk with your doctor. If you do decide to use perfume, finding the one that embodies the way you want to feel during your pregnancy can be a lot of fun.